The first-ever robot fashion model struts her stuff on a makeshift catwalk in Tokyo. 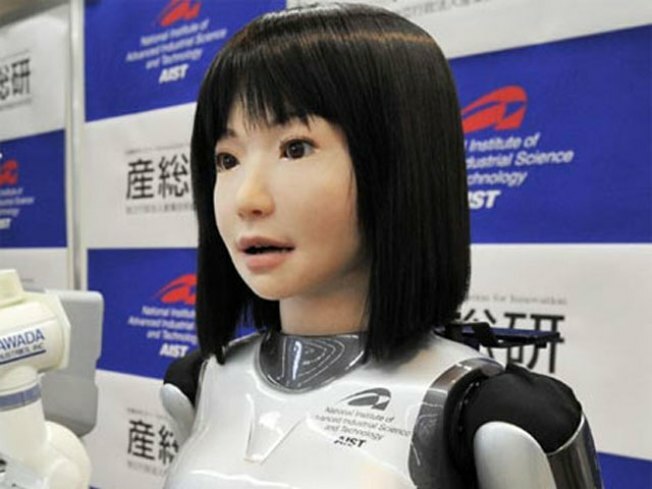 The first-ever robot fashion model strutted her stuff on a makeshift catwalk in Tokyo yesterday. The premiere of “the female humanoid with slightly oversized eyes, a tiny nose and shoulder-length hair” took place at the National Institute of Advanced Industrial Science and Technology, says the Telegraph. “The performance fell short of flawless when she occasionally mixed up her facial expressions -- a mistake the inventors put down to a case of the nerves as a hail of camera shutters confused her sound recognition sensors.” Video after the jump.